"These are more convenient," he said, adding that among his friends who are cannabis users, half of them say edibles are their form of choice even though they aren't legal in Canada yet. From obtaining specialized research licenses to potentially building new and separate manufacturing facilities and developing new products to comply with yet-to-be-finalized rules – there are numerous hoops to jump through before edibles can grace store shelves. "It's a challenge," said Jeffrey Zietlow, vice-president of innovation at licensed producer CannTrust Holdings Inc. "Everyone is running for the October deadline, and we're trying to develop multiple products at the same time. The more certainty you have, the easier it is to innovate products." Toronto-based Greenhouse Juice Co. plans to develop beverages infused with cannabidiol, or CBD, helped by a $9-million investment by Canopy Growth Corp's venture-capital arm. Licensed producer Organigram also recently partnered with food product developer Canada's Smartest Kitchen to develop edibles, initially focusing on the chocolate confectionery market. Quebec-based Hexo Corp. has teamed up with alcohol giant Molson Coors to form a joint venture called Truss to make and sell cannabis-infused, non-alcoholic beverages. "Cannabis 2.0, the edibles category, you're now providing consumers products in form factors that they're used to consuming all the time and that they enjoy," he said. "And that makes it a lot easier for people to try a cannabis-based product." Under the previous licensing system enforced prior to Canada legalizing recreational cannabis on Oct. 17, companies conducted various forms of cannabis research under what was called a "dealers' licence." 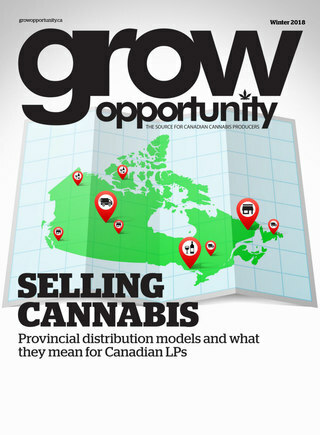 So-called palatability tests are not required to produce and sell edibles and some who are simply introducing products into Canada already on offer in some U.S. states may not feel the need to do them, said Brenna Boonstra, director of quality and regulatory at Cannabis Compliance Inc. But it's a good idea to taste-test edibles before launch, she added. "People are certainly interested in doing this, but the research licences to do so haven't been issued yet," she said. "All of a sudden, our whole plan to use the existing facility is out the window and now we have to build a whole new facility," he said. Companies can't apply for this amendment until the edible pot rules come into force, Boonstra said. "We don't want to launch a product and then not have it available a week later. We want to have some sufficient inventory on 1/8the 3/8 market and be able to continue to supply products." Despite the hurdles, he remains bullish on the market for edibles – whenever he is able to sell them legally. "Everyone I've talked to, people are just guessing it's Q1 sometime," said Donnelly. "But that's a guess – who knows."